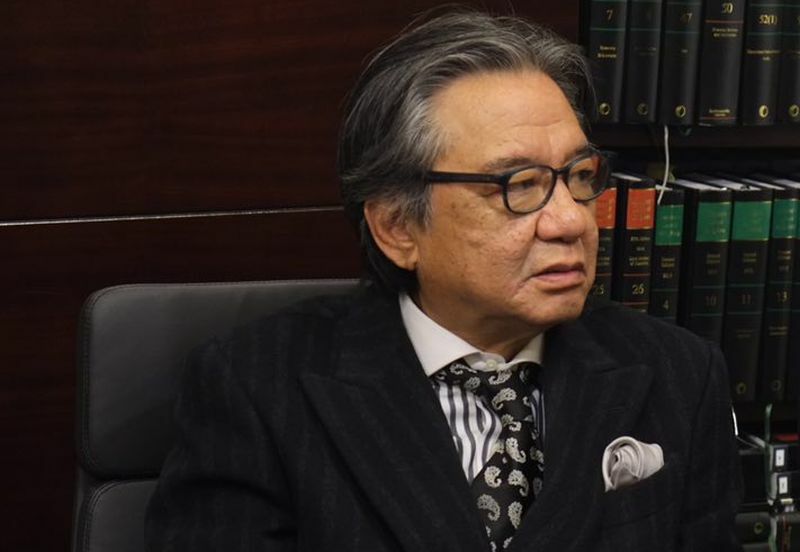 Senior barrister Lawrence Lok says he does not understand the “new constitutional order” mentioned by Chief Executive Carrie Lam, saying that he only knows about the Basic Law, Hong Kong’s de facto constitution. Lok is running for a seat on the governing council of the Hong Kong Bar Association alongside top human rights lawyer Philip Dykes. His team have criticised the belated response made by the Bar over the controversial joint checkpoint arrangement of the Guangzhou-Shenzhen-Hong Kong Express Rail Link. 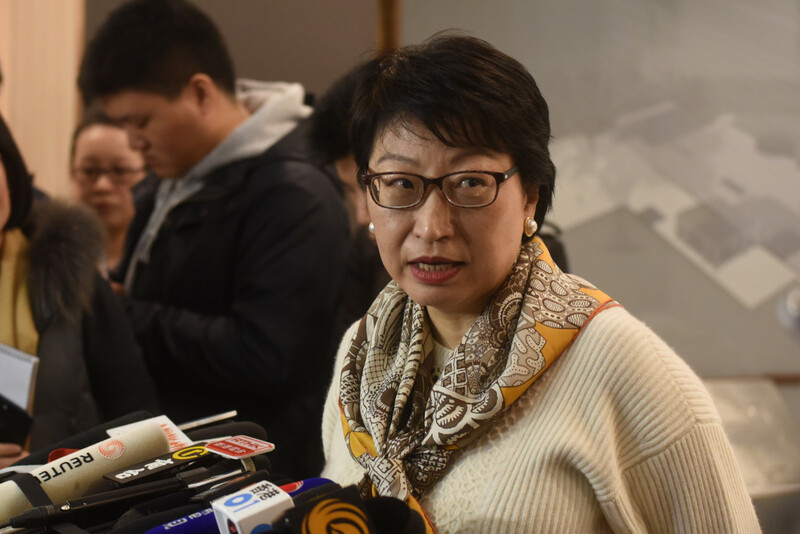 Last week, Lam dismissed criticism of the mechanism, saying that such views were “irrational and are incompatible with reality.” She said critics failed to understand the city’s “new constitutional order,” referring to Beijing’s power over Hong Kong. Lawrence Lok. Photo: HKFP/Kris Cheng. Beijing authorised the plan last month, issuing a legal explanation on how the arrangement would comply with Hong Kong’s Basic Law. The proposal involves “leasing” land to China across a quarter of the terminal for faster immigration procedures performed by mainland law enforcement agents. If approved by the legislature, Hong Kong would effectively surrender its juridstriction across part of the new West Kowloon terminal, set to open this year. 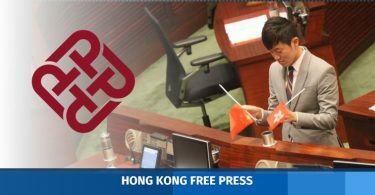 Lok said he agreed with former Legislative Council president Jasper Tsang, who said the arrangement was a violation of Article 18 of the Basic Law. The article says Chinese laws cannot be applied in Hong Kong unless they are listed in the constitution’s Annex. Teresa Cheng. Photo: Citizen News. Meanwhile, Lok maintained his position that new Secretary for Justice Teresa Cheng should resign over her illegal structures scandal and she should have revealed the issue long time ago. Cheng was allowed to finish her six arbitration cases from her private practice, which was revealed by Lam at the Legislative Council a week after Cheng took office. 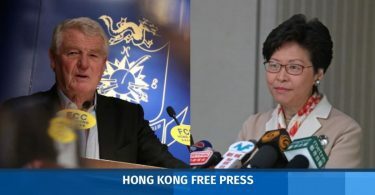 Lok said it would cause a huge loss for all sides in the cases if Cheng did not complete them, but questioned why Cheng did not complete them before taking the appointment, and why Lam did not reveal the arrangement as soon as possible.